Students are expected to make their own housing arrangements during the internship. An extra allowance is available for students that can demonstrate they need extra housing. The Joint ALMA Observary (JAO) office is located in Alonso de Córdova 3107, Vitacura, Santiago. Shuttle vans run from the airport to various locations in the city door to door. Most of them have a desk in the baggage hall and on the arrivals level. About taxis, it is recommended to agree a price with the driver before using the taxi (a common fare between the airport and the Vitacura area is around CLP 18000-20000, EUR 23.00 - 25.00). For more information, check here. Metro The closer station from the ALMA office in Vitacura (Santiago) is the metro station 'Tobalaba' (Línea 1). 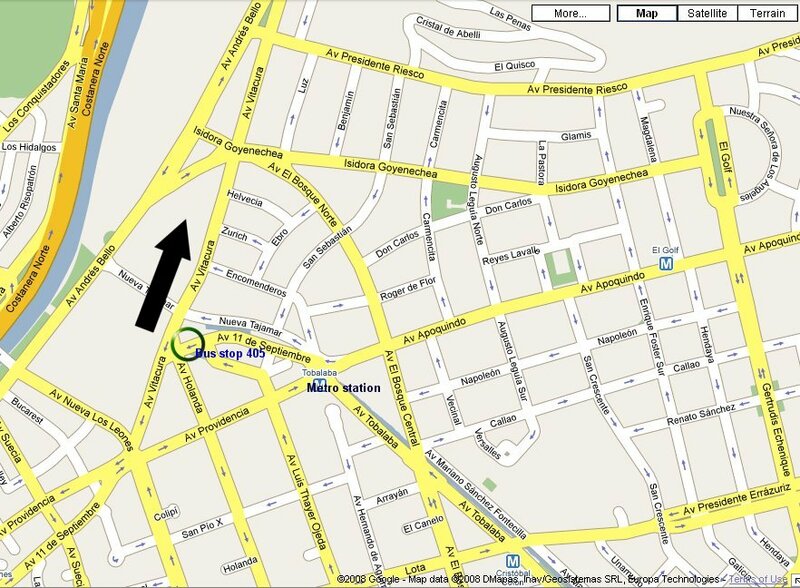 Exit the Tobalaba station at Luis Thayer Ojeda street and walk until the bus stop no. 405, go off in Vitacura with Alonso de Cordova avenue and walk until the ESO office. The Joint ALMA Observary (JAO) offices in Chile are located in Vitacura, one of the districts of Santiago. 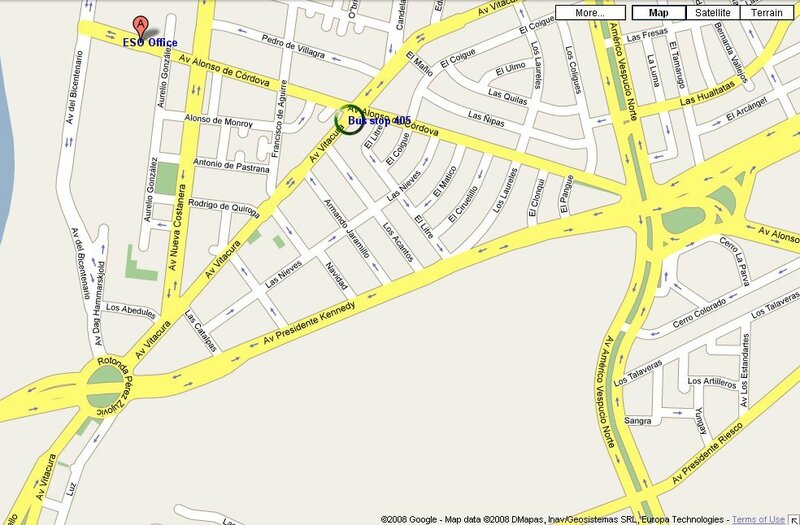 Please check the details how to Travel to ALMA Vitacura Office, Santiago. Santiago, due to its position in the central region, has a Mediterranean climate with well-defined seasons. In May, the temperature can reach around 17-18°C (62-66º F). You can check the weather on the Weather Channel. Chile's standard time zone is UTC/GMT -3 hours. Do you need a Visa to enter Chile? Check here! Sightseeing in Santiago: Sightseeing, museums, shopping malls, picturesque quarters are described here and here. There is a number of restaurants and small places to eat around the ALMA office. You can find more information here. All of them are fairly expensive. Most JAO staff bring their own lunch from home. Microwaves and cutlery are available.